Mileage picked up on the second day of testing in Jerez, but it was the Mercedes and Ferrari powered teams that had better running. Those teams running Renault engines were struggling from the outset. Red Bull’s Sebastian Vettel completed eight laps but the team cut short their day’s running after a battery and energy storage issue. Vettel only managed three installation laps yesterday, and has now gone home. 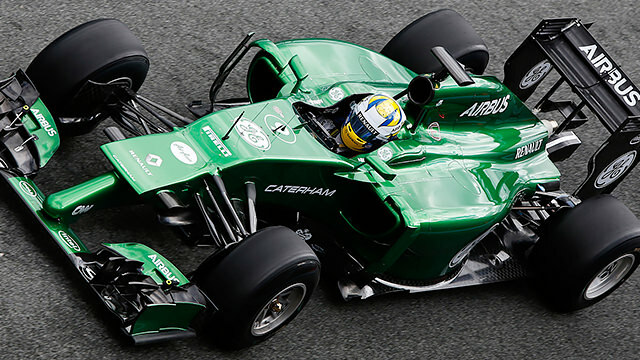 Meanwhile, Caterham were also struggling. Marcus Ericsson completed eleven laps, and admitted he would have preferred more but understood the testing situation. Caterham struggled with some engine software in the morning, and the car stopped out on track in the afternoon due to a battery issue.